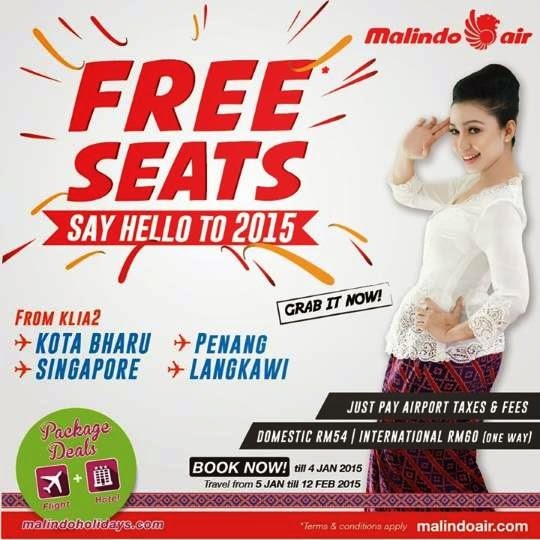 Browse » Home » Singapore » Malindo Air FREE Seats Promotion for 2015! Malindo Air is offering FREE seats! Just pay airport taxes and fees! Your flight price starts from RM54 (domestic) or RM60 (International), one-way!